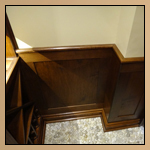 Wainscoting Stairs - Raised Wainscoting The design for this stairway wainscoting installation had the rectangles bend to follow the stairs down. 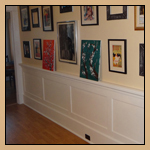 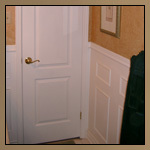 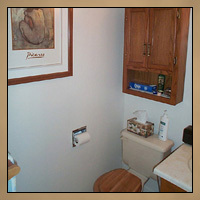 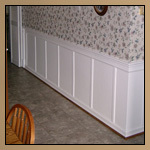 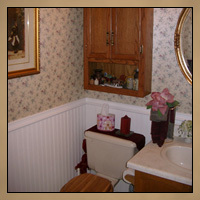 The paneling was made with finger trim and ¼” hard board that was installed to build up the rails and stiles, making the center panels appear recessed. 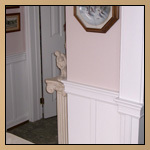 Everything was capped off with chair rail, painted white and caulked. 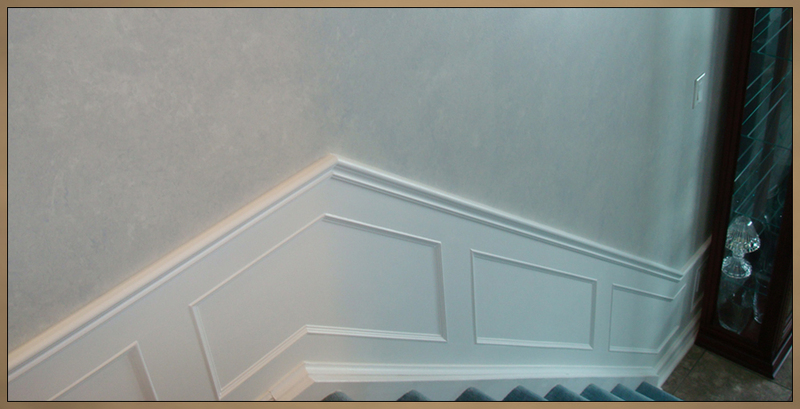 The light steel blue faux finish paint job looks absolutely stunning next to the white wainscoting.